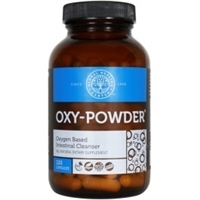 Comprehensive Liver/Gallbladder detox as well as intestinal cleansing and repair (leaky gut). Derived from Aloe barbadensis grown on volcanic soil, rich in the key compound acemannan. Premier Research Labs Aloe Mannan-FX has a guaranteed minimum of 1/8 tsp. of acemannan. Aloe Pro by Premier Research Labs has extraordinary support for the intestines, urinary tract, immune system and mucous membranes. Finally, an aloe drink without toxic preservatives: no sodium benzoate or potassium sorbate. As close as it gets to eating fresh aloe right in the field. 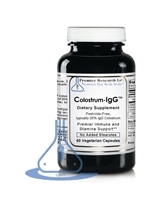 Our colostrum is from only organically fed, happy cows that have never been ill. They receive no hormones, antibiotics or other drugs. Our colostrum is carefully air-dried at low temperature to ensure full activity of all the colostrum’s immune-enhancing factors. World-Class Nutrients To Strengthen The Digestion. * The Best Digestion Formula On The Planet. Better digestion of your food means more vitality for you! 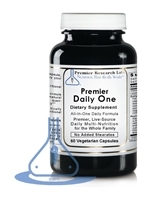 Premier-State Stomach & Digestive Support. Premier HCL assists the body's natural stomach acids in the digestion and absorption of nutrients, especially protein, calcium, magnesium, phosphorus, iron, and B-12. 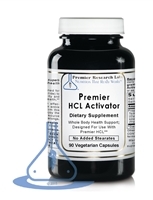 Taken along with digestive enzymes Premier HCL can eliminate indigestion, "queasy" stomach, and chronic heartburn. Premier-quality Noni (India); superior gastrointestinal, immune system, thyroid and mood support* Noni is recommended for a broad spectrum of health support. Since Noni helps so many body systems, it can help give hair a healthy shine and skin a healthy glow. The body functions as a complex bacterial ecosystem. Maintaining beneficial microbial balance throughout the gastrointestinal tract is vital to the stability of this ecosystem and essential to optimal health. Copyright © 2013 Abundant Life Health & Wellness. All Rights Reserved.